Leaf tissue testing is an important diagnostic tool for picking up early signs of nutritional deficiencies and imbalances that may have serious negative effects on your crop yield or quality of production this year. While many growers rely on soil testing and visual monitoring of their crop, tissue testing allows you to pick up nutritional disorders before they are serious enough to be visually identified. 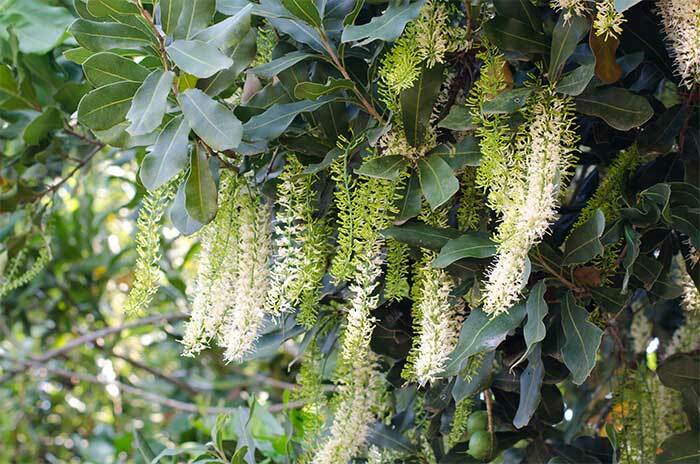 Now is the perfect time for leaf tissue testing for Australian macadamias, as the ideal leaf nutrient standards for Australian varieties are based on data collected at this time of the year. Furthermore, leaf testing now allows you time to address nutrient requirements to ensure there are adequate tree reserves for the high nutrient demand during nut growth and oil accumulation. Take mature leaves (6-7 months old) from the previous Summer/Autumn flush, from the second or third whorl of leaves from the shoot tip. Try to avoid new flushes, and sample only dormant terminals where no new growth is evident. Collect 50-100 leaves from 10-20 trees of one cultivar that are uniform throughout the planting. If possible, try to collect leaves that have been exposed to full sun, as shading can affect mobile nutrient concentrations. An easy-to-interpret graph highlighting your crop deficiencies and excesses. A summary of the key requirements and recommendations for management of nutrient imbalances. A fast turnaround time, as all leaf test data is prioritised and reports done urgently by the NTS agronomy team. Samples should be Express Posted, (or delivered asap by hand if you live near the lab), to the Environmental Analysis Laboratory, Southern Cross University, Lismore. Click here for more information on Plant Therapy™, including instructions, delivery address, payment options etc, or contact your local NTS distributor for a free Plant Therapy™ kit. Don’t hesitate to call and speak with an NTS agronomist if you have any questions on leaf sampling your macadamias this year.